ATTRIBUTES: Aegerine Crystals enhance the healing power of other crystals, as well as, activates positive flow in your life. Aegerine is also known as "Acmite" named after Aegir, the Scandinavian god of the sea. Aegerine is a protective stone, shielding one from psychic attacks, negative energies, and mental influences. Aegerine is a powerful energy generator and an excellent crystal tool for focusing for personal or environmental healing. Aegerine is an excellent crystal tool for unifying group efforts by concentrating positive energy to all who are present in the area. Aegerine assists in facing karma with integrity and empowers the quest for your true self. Aegerine provides the strength to follow your personal convictions. Aegerine allows high-frequency energy waves to permeate and cleanse the aura and assists in breaking the attachment of negative entities to one's etheric body. Aegerine dissolves thought forms, repairs the aura and helps to repair bio-magnetic sheath after attachment removal and or removal of negative energies. Aegerine transmutes grief after separation and removes energy blockages from the emotional body enhancing positive vibrations. 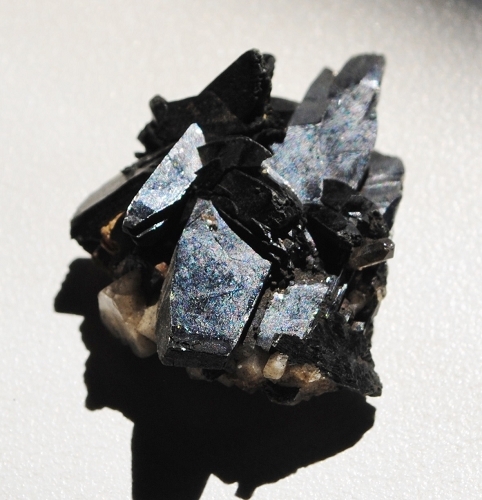 Aegerine Crystals can be used in the awakening of the kundalini energy and stabilize the energy field with the process. Aegerine protects one from energetic disease and imbalances caused by electromagnetic radiation sources from computers and other electronics. Aegerine is excellent for use by those working in the medical field and who are exposed to the toxic energies that may be found in hospitals, clinics or other treatment facilities. HEALING: Aegerine boosts the body's self-healing systems and may be used in the treatment of deficiencies of the immune system. Aegerine supports cellular memory, the immune, metabolic and nervous systems, and the liver, gallbladder, spleen, muscles and bones. Aegerine overcomes muscle pain and facilitates the removal of toxins.